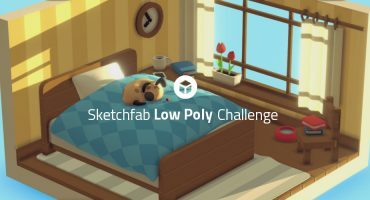 We’ve teamed up with Unity again for their Community Art Challenge. 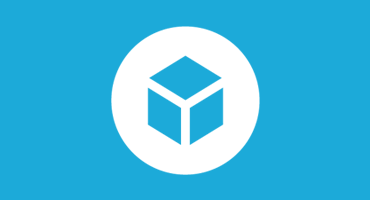 We’ll be contributing Sketchfab Pro memberships and a special prize (see below). This months Challenge is themed “Chest Of Wonders”. This could literally be a Wooden Chest filled with wondrous items. Maybe it’s a Chest that leads to another dimension? Perhaps it’s a Pirate’s Chest filled with Gold? There is a lot of room for interpretation here! Use your imagination! Impress us with your creativity and imagination. Let’s see something new and fresh! Extra prize: print your own prize with a €50 voucher for 3D HUbs! 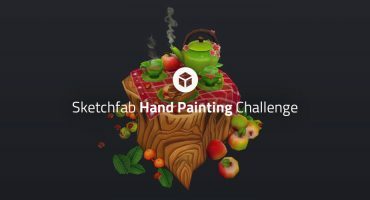 Sketchfab community member JuanG3D designed this awesome trophee that you can get 3D printed locally using 3D Hubs. The 1st place will receive a €50 voucher. You will find the full announcement and the challenge rules on the Unity forum. 3D-Coat ‘Robot Animals’ contest: the winners are in!